Graduates of our 4WD driver training courses will be competent and confidently undertake 4WD trips to and through our beautiful national parks, forests, and remote areas, and see first hand the beauty and serenity that is normally only seen via the visual media. 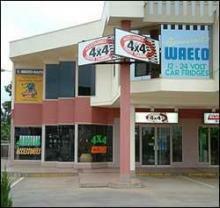 4x4 Driver Training have been a registered training organisation since 1997, training operators of 4x4 vehicles from Government and semi-Government bodies as well as recreational drivers. We offer basic and advanced courses. 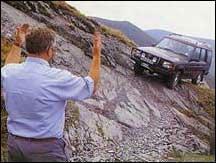 AllTerrain 4x4 Driver Training is a registered training organisation with the Department of Employment and Training. Our training program is Nationally Accredited. Our commitment to comply with ATQF standards is your guarantee that training provided by AllTerrain 4x4 Driver Training is of the highest standard, and that trainees are partaking in a credible and viable course. AllTerrain 4x4 Driver Training courses are competency based and thus allow increased flexibility for the training of drivers with all levels of prior skills and/or knowledge.